#EOFF2018 will open with director Bridey Elliot‘s hilariously-spooky debut feature CLARA’S GHOST (pictured above), in which she cast her entire family to play its dysfunctional protagonists. Friday night will wrap up with newcomer Erik Bloomquist‘s unsettling, psycho-horror drama LONG LOST about two brothers meeting for the first time. 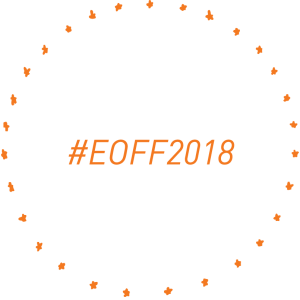 The final screening and closing night feature is none other than EOFF Alumni and community favorite Jim Cummings‘ heartfelt comedy about a cop who loved his mom, THUNDER ROAD!